Manufactured by Bayer, Kiltix Tick Collar is a long lasting flea and tick treatment for 3 months and older puppies and dogs. 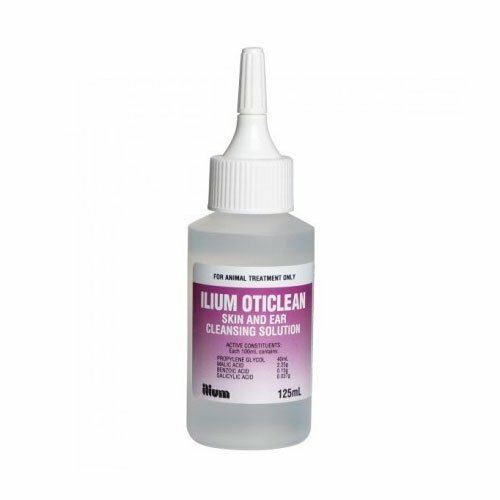 With flumethrin and propoxur as an active ingredient, it kills and repels major disease causing ticks including paralysis ticks, bush ticks and brown dog ticks. 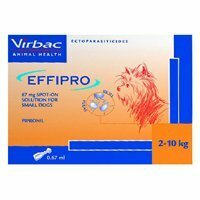 In addition, it kills pesky fleas and saves the pet from various parasite borne diseases. The waterproof collar lasts for five months and proves to be an affordable flea and tick treatment for puppies and dogs. 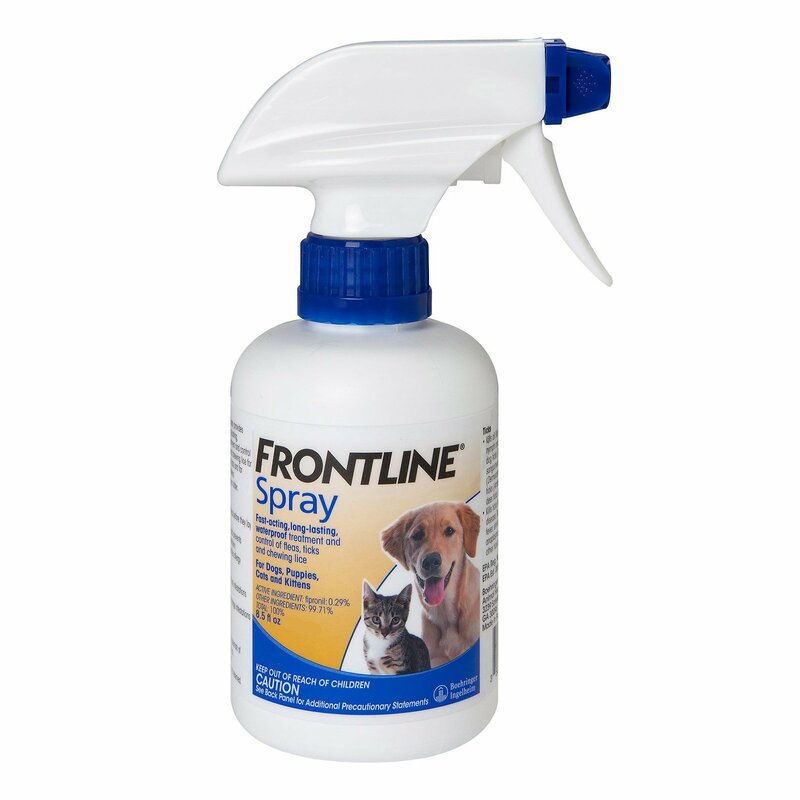 Its strong repelling action detaches ticks before they stick to the pet’s body making the pet flea and tick free without much of an effort. 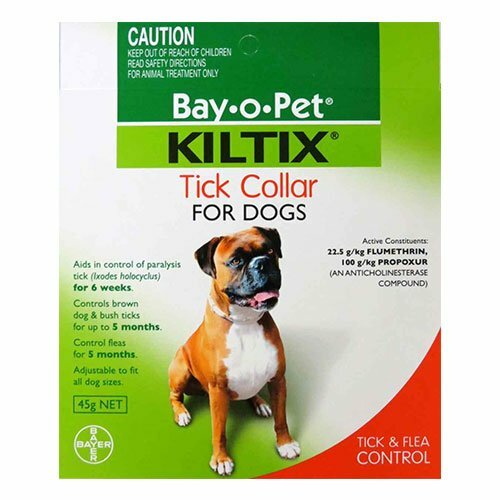 Kiltix Tick collar is a long lasting flea and tick treatment that keeps away fleas and ticks for a time period of five months. The easy to use collar is a long-term solution for repelling and killing bush ticks, paralysis ticks and brown dog ticks. The waterproof collar is a cost effective treatment for 3 months and older puppies and dogs. Keep the packet sealed until the collar is needed for use. Open up the pack and roll the collar around the pet’s neck. Buckle it around the pet’s neck in such a way that there is a space of two fingers between the pet’s neck and collar. Trim the extra portion of the 65 cm long collar and dispose it. Change after five months. Although the collar is waterproof, it is advisable to remove it while bathing the pet to get optimum results. Consult a veterinarian before treating sick, convalescing and debilitated pets. Make sure the pet does not chew the collar. Trim the extra part and dispose it. 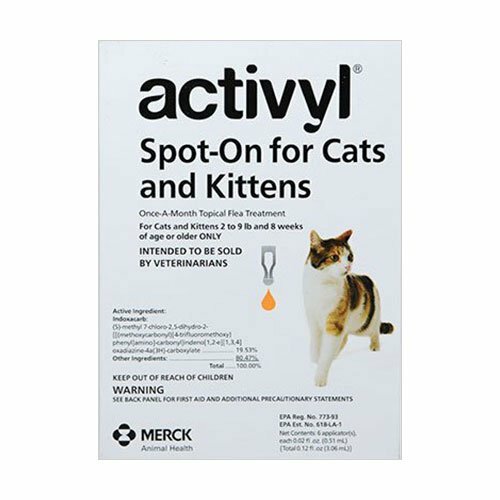 Do not use on pets allergic to the active ingredients. The collar should not be buckled tightly around the pet’s neck. Oh wow! Finally got a proper repellent for bush ticks to get away from my dogs.. The waterproof quality is the best feature of this collar as it is a long-term protection!! 325 of 363 found this review helpful. This dog collar is completely waterproof and odorless. It is a total money's worth to get for your pooch. It is extremely effective in eradicating ticks from my furry pal's body. Thank you!! 297 of 451 found this review helpful.